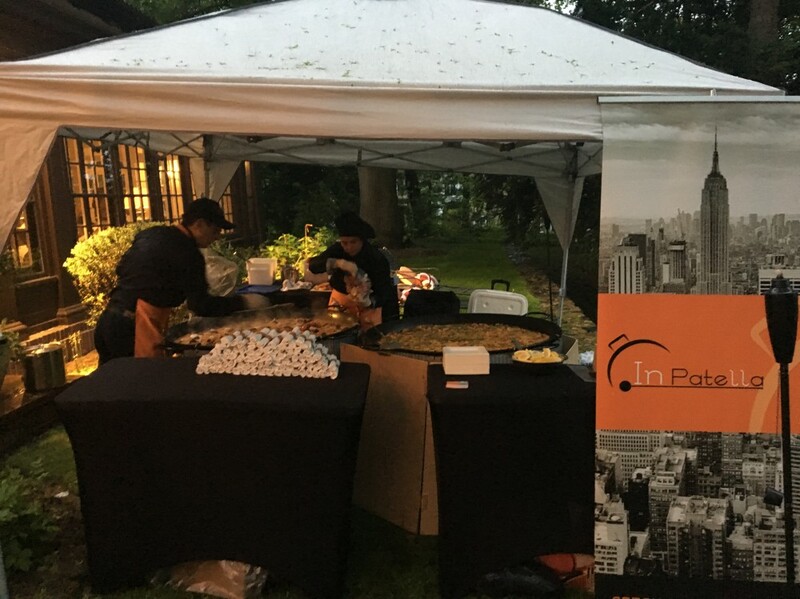 In Patella NYC - Catering Services in Manhattan & Queens, New York. From our province Alicante (Valencia) to New York and beyond, our humble but determined mission is to promote the authenticity and long-standing cultural tradition surrounding Spain’s most famous yet equally misinterpreted dish. In Patella - Bringing you Spain's national dish as you've never had it before. Summertime is when we all come out of our Winter hibernation and get to enjoy the great outdoors. For Astoria and Long Island City residents that means trips to Astoria Park and strolling along the beautiful Center Blvd. waterfront esplanade. It's also a time for rooftop parties, weekend BBQs with friends and family on the driveway or whatever passes for a front or backyard here in Astoria. Grilling hot dogs and burgers certainly has its' place when it comes to great outdoor party hearty food. But what if you could treat your guests to something that was not only healthier to eat, but deliciously different, as well? 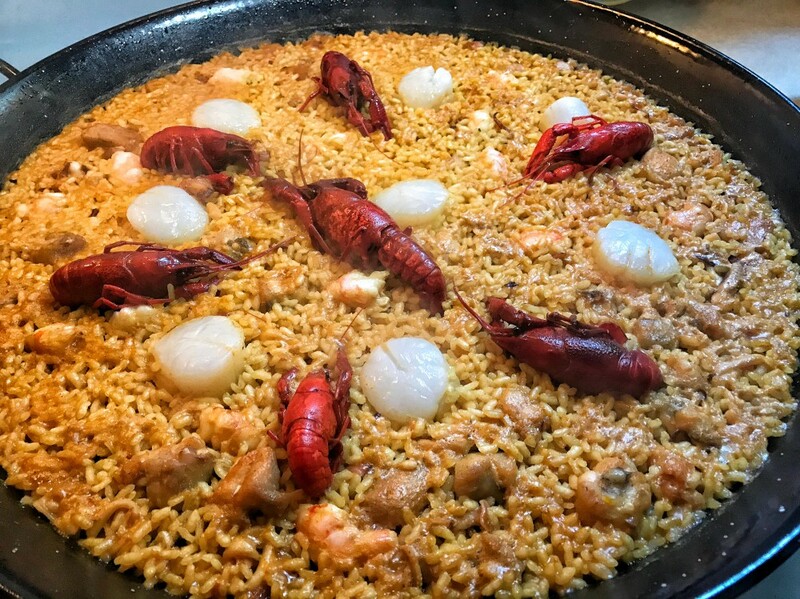 All you have to do to bring the culinary wow factor to your next birthday celebration, girl's night out at a friend's apartment or house party is all the talented young chefs at In Patella and get ready to enjoy heaping plates of Paella with all the trimmings! A family-owned company, In Patella, is headed by the husband and wife team of the very personable Miles McKernan and talented chef Ana Diaz. Sure, you may have enjoyed Paella before at one of the many Spanish restaurants located throughout our city. But you have never tasted the kind of authentic Valencia-style Paella that chef Ana brings to the table. A traditional pan dish that is meant to be shared, Paella originated in Ana's home Province of Valencia, hundreds of years ago. Classic Paella never mixes seafood with meat offerings. It is either one or the other and Ana whips up versions of both dishes that are absolutely yummy! Ana's traditional Paella is made with only the finest cuts of chicken as well as green and white beans. The seasoning and texture of the perfectly cooked rice is always on point. The chef utilizes local ingredients from farmer's markets and Astoria purveyors. Ana also imports many items directly from Spain. If you and your guests love seafood, then you will love Ana's recipe which incorporates a variety of succulent shellfish. Everything is as fresh as if you had purchased the items yourself. 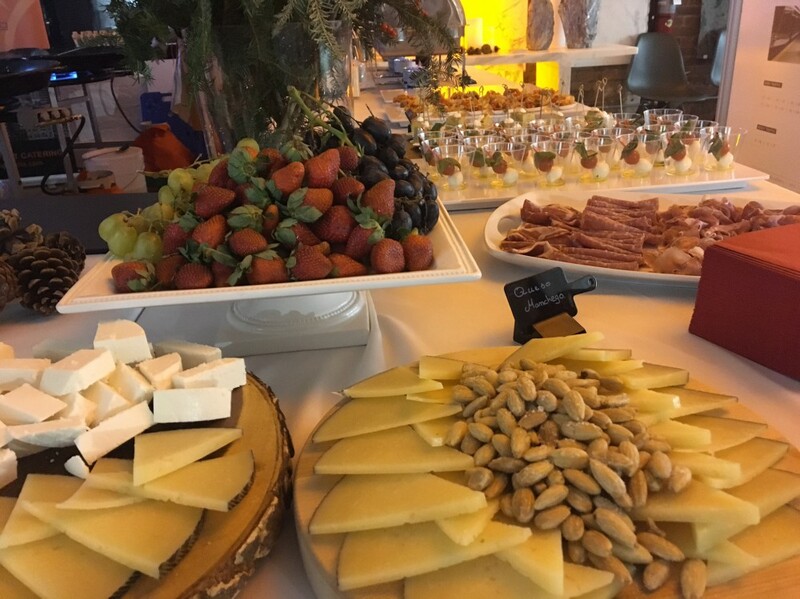 In addition to their savory pans of Paella, chef Ana and her team can bring an amazing array of tapas to your table including family recipes that Ana has re-interpreted and mouth-watering Spanish meat and cheese boards. Your guests will not be able to stop coming back for seconds and thirds. Oh and, by the way, in case you were wondering, (and we know that you were), "In Patella" translates to in the pan. In the old days, paella was cooked over a wood fire and everyone would dig into the pan with a wooden spoon and help themselves. But at your wedding reception or corporate event, you won't have to go old school. Ana and Miles will bring plenty of plates to serve their Paella in. 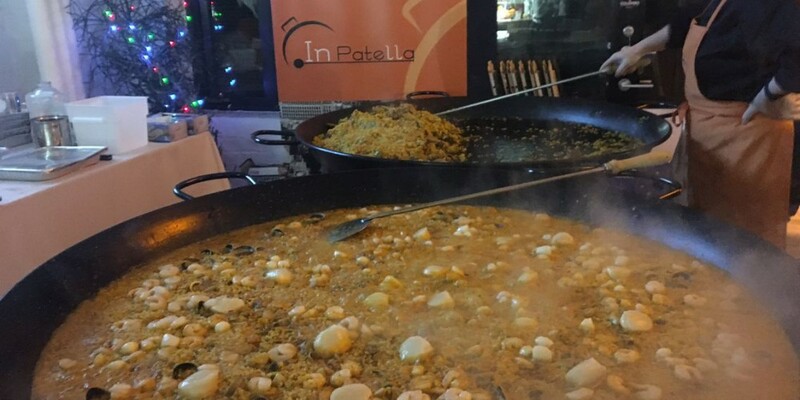 At In Patella, a dish of Paella is more than just a recipe or delicious dining experience. It's a lifestyle. Bring your friends and family together over a dish of Paella as you laugh, talk and celebrate life!